Tiles And Accessories Export ( HK ) Ltd. This is from one of our clients in China - Stone Factory - they supply a complete range of stone and waterjet mosaics - very professional company. Short on time? Let basalt sellers contact you. Elley New Material Co., Ltd.
Xiamen Smile Imp & Exp Co., Ltd.
Color:black Finish:polished, honed, flamed, bushhammered, sandblasted, chiseled, natural split, tumbled, pineapple, etc. 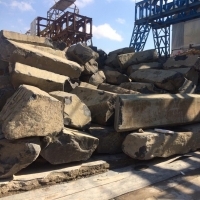 Production: tile, slab, kerbstone, cube stone, paving stone, countertop, garden stone. Dimension: Tiles 305x305mm(12"x12") 300x600mm(12"x24") 400x400mm(18"x18") 600x600mm(24"x24") Slabs 600upx1200upx20~30mm 800upx1200upx20~30mm 600upx1500~1800upx20~30mm Thickness: 10mm(3/8"),12mm(1/2"), 20mm(3/4"),etc. Strong fumigated wooden pallets for export. Saffron ( Super Negin -Negin ), All kinds of nuts and dried fruits (almond, hazelnut, pistachio, cumin seed etc. ), Mineral Ores (Iron ore, manganese ore etc), raw leather and leather products., Basalt. Haubin General Machinery & Equipment Import & Export Co., Ltd.